A new tech hub for Africa? Kigali, Rwanda, has bold ambitions to make its mark on the tech scene in Africa and beyond, but can it overcome the challenges this developing nation faces? Catch one of the 20,000 motorbike taxis that roam the streets of the Rwandan capital Kigali these days and you may well have the option to pay using a system developed by local start-up Yego Moto. The company’s digital payment tool brings an end to the need to haggle or wait for change. Karanir Singh, Chief Executive of Yego Moto, describes its system as “the world’s first licensed platform for motorcycle taxis and designed for Africa, from the concept up”. The system is also fitted in all the city’s 900 licensed taxis and the longer-term plan is to make the platform available for other m-commerce services, such as food delivery or bringing contractors to people’s doorsteps. Once it expands into other countries, Yego intends to fit its system in everything from tuk-tuks to matatus (minibuses) and even trains. The government has been encouraging the tech sector since 2000. It is just one example of how technology is seeping into everyday life in Rwanda, often with the active support of the government. In Yego Moto’s case, once the company had proved its technology worked, the government passed new regulations making meters compulsory for all motorcycle taxis. More broadly, the government has been encouraging the development of the tech sector since at least 2000, when it released its Vision 2020 strategy, which aimed to create a modern, knowledge-based economy. Yego is far from being alone. Among the many other firms which have set up are DMM.HeHe, which develops mobile applications for businesses, and Zipline, which has launched a medical delivery service using drones. Established firms are getting in on the act too. In 2016, Bank of Kigali set up a dedicated tech subsidiary, BK TecHouse, to focus on technology products and services such as digital payments systems for school fees. And the Rwanda Development Board has made ICT one of its areas of focus for attracting inward investment. Difficulties include high broadband costs and difficulty in accessing finance. The local tech scene is also being supported by a growing number of tech hubs in the capital, including the likes of FabLab, kLab, Impact Hub and Westerwelle Startup Haus. Andela, a start-up which trains software developers, has also set up operations in the city, while US-based Carnegie Mellon University’s local campus offers courses in information technology and electrical and computer engineering. There are some difficulties though, including high broadband costs and difficulty in accessing finance. “Broadband rates are pretty high and are a bit of a dampener on the wider tech sector,” says Benedict Craven, country risk manager at the Economist Intelligence Unit. Such problems are not unique to Rwanda. Many African markets suffer similar issues and it is likely to take time to convince, say, investment firms based in South Africa to pay closer attention to the opportunities available in Rwanda. Yet some large international technology companies have decided the difficulties within the market are no barrier to entry. In late October, Chinese e-commerce giant Alibaba announced that it was rolling out its electronic world trading platform in Rwanda. This provides small and medium-sized enterprises with the infrastructure they need to connect into the global economy, such as cloud computing, logistics and mobile payments. Meanwhile, some local companies have already been expanding beyond their home market, such as SafeMotos, a ride-hailing app for motorbike taxis, which was set up in Kigali in 2015 and which is now expanding to Kinshasa, the capital of neighbouring Democratic Republic of the Congo. The country could play a useful role in acting as a hub for the wider region. 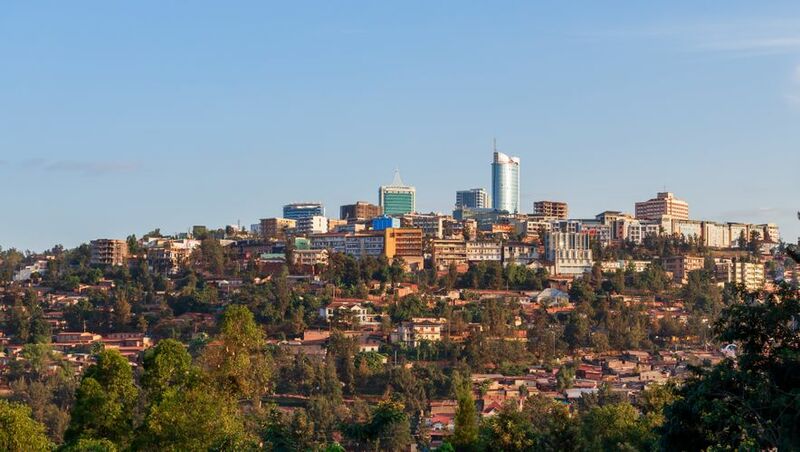 With a population of a little over 12 million and GDP per capita of a little over $800 a year, Rwanda is a relatively small market, so connecting into the wider world is a necessary step for any company with ambition. But the country could play a useful role in acting as a hub for the wider region. “The local addressable market is small compared to Kenya, Nigeria or Ethiopia so tech ventures will most likely use Rwanda as a regional base to build and export across Africa,” says Fassnidge. Singh takes a similar line, suggesting that Kigali could become a “proof of concept city”, where start-ups come to test their ideas and technologies before rolling them out to other markets around the continent. “The level of support and ease of doing business in Rwanda is unparalleled,” he says.